A few kilometers from our direct booking guest house are the Chablis vineyard. The Chablisien is one of the tourist locomotives of the department of Yonne. Tourists come from all over the world to taste our wines and discover a territory beyond the terroir. THE WINES OF CHABLIS ARE FROM A SINGLE GRAPE VARIETY: CHARDONNAY. There are four appellations – petit Chablis, Chablis, Chablis premier cru and grand cru Chablis – are distinguished by precisely defined production areas as well as specific production conditions. Today, the surface planted in Chablis is just over 5,500 hectares. In 1995, after the phylloxeric crisis of the 19th century and the two world wars, Chablis only counted 550 hectares of vines! Nevertheless, the entire area in appellation is not yet planted: it has 6,800 hectares spread along the valley of Serein. BY BIKE, SCOOTER, MINIBUS OR 2 HP. Chablis wines enjoy international renown. 66% of their sales go abroad: Great Britain, United States, Japan, Sweden, Canada … They figure prominently on the table restaurants and wine shops throughout France. To discover the vineyards, original initiatives have been put in place. Rental of electric bicycles and scooters (e-bike winetours). Discovery of the vines in 2 CV with an oenologist (Au cœur du vin). Guided tours by a local guide in air-conditioned minibus (Chablis Vititours)). Bicycle rental (office de tourisme). Gourmet strolls (Chablis bouge son cru… à fond la treille) … Everyone can find something to satisfy his curiosity and quench his thirst … With moderation! – May 4: Wine and flower market in the center of Chablis. – July 26: Guided tour of Chablis at 5.00 PM. – 26th and 27th of October: Chablis wine festival. 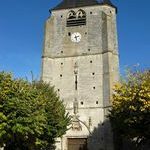 – October 26th: 1st Chablis Marathon. Feel free to use our direct booking guest house for your accommodation.